Steve Sweeney, the senate president for the US state of New Jersey has stepped in after a row over funds being allocated to a billionaire businessman Carl Icahn. Icahn has attempted to procure funds from the Casino Reinvestment Development Authority, a New Jersey government body that provides financial assistance to developers and casinos. Sweeney has requested that the funds be denied to Icahn. 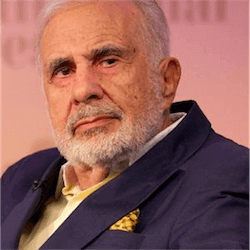 While the fund is there for the very purpose that Icahn intends to use it for, there has been a long history between the two with their feud only heating up in recent weeks. The Casino Reinvestment Development Authority is funded by the casinos of Atlantic City in New Jersey. Each casino pays a percentage to the Authority who then allocated the funds for redevelopment of properties or repairing infrastructure around the city. Icahn has requested $5.6 million dollars from the fund in order to partially pay for his demolition plans for the vacant Trump Plaza hotel which has been out of business since 2014. The venue is right at the gateway to the city and has become an eyesore and worst of all it is sitting on prime real estate. Sweeney is well familiar with Icahn as the two have clashed over employee issues previously. Icahn has closed down another Trump property, the Taj Mahal after a month long employee strike as Icahn refused to meet the health benefit request from more than 3000 workers. This naturally hurt the business which closed down shortly afterwards. After this travesty, Sweeney was gunning for Icahn and tried to introduce a bill that would prevent the billionaire from investing in more casino in Atlantic City as he has by now developed a reputation for treating his employees poorly and running casinos into the ground, while still dipping his hands into the CRDA funds. Sweeney can’t reject Icahn’s request for the $5.6 million, but he has voiced his opposition to the Redevelopment Authority who have only granted preliminary approval for the funds to Icahn. While the businessman has played a great role in Atlantic City gaming, he certainly has not become a billionaire through his humanitarian actions and many politicians, along with many members of the public are not comfortable with granting a loan to a billionaire who poorly runs his casinos and does not value his staff who helped him gain his great wealth.